I’m among those who still count Bobby Orr as the best all-around hockey player they ever saw. He had extra gears that other players just didn’t have. Maybe in his era Gilbert Perreault could match him, but other than the big Sabre center, no one else really could stay with him. Everyone says Orr changed the game, in the sense that he played defense as a constant offensive threat—a guy who could rush the puck with speed and make plays like no one else. There had been “offensive” defensemen in the past—Doug Harvey, Red Kelly, Marcel Pronovost in his youth, Tim Horton and Carl Brewer in Toronto—but Orr was a completely different animal. It made young rearguards after him want to play like him, with more of a hell-bent-for-leather attitude. No one has been as good as Orr, though many I can think of—Guy Lapointe, Brad Park, Denis Potvin and later Ray Bourque and Paul Coffee brought that elite offensive dimension to their game. 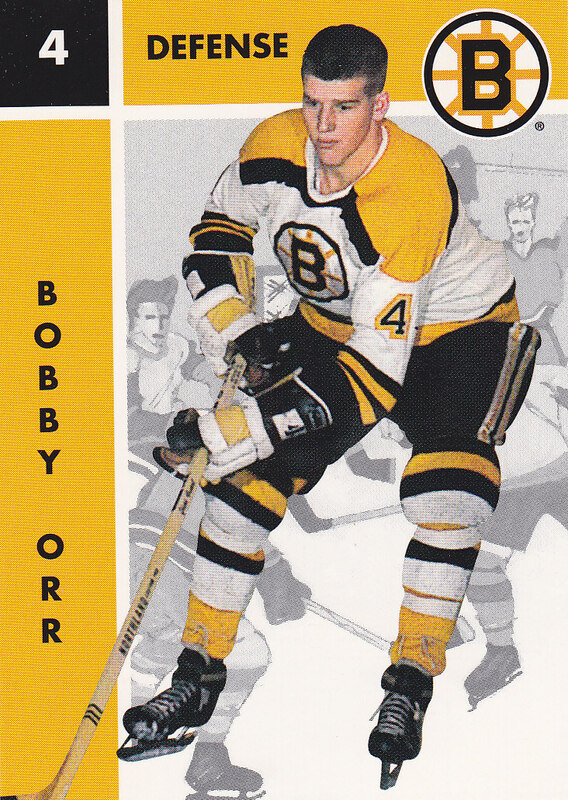 All this said, there was one other way Orr changed the game, but it was much more subtle and I’ve never heard anyone talk about it. In the “old” days (pre-expansion especially) referees were very strict about the “closing your hands on the puck” infraction. I’m not referring to situations where a player may fall on the puck in his own crease and put his hands over the puck, which can lead to a penalty shot. I’m referring to the rest of the ice where there was a strict rule in place. You simply couldn’t close your hands on the puck. It was against the rules. Orr, to me, changed all that. He mastered the art of bending that rule, where he would kind of grab the puck and quickly lay it at his feet. The guy was a great athlete and could do this very quickly. Slowly but surely he set a new standard. He would even grab the puck, just put it down at your feet, and keep on going. He did this a lot and refs wouldn’t call it. Eventually other players started doing much the same thing. So now, forty years later, we still have the old rule in place if I’m not mistaken, but you still don’t see it called very often. It’s much like “travelling” or “palming” the ball in basketball... When I was a kid in the ‘60s, you saw that call made when guys took more than two steps, or “carried” the ball. Now, they can take as many steps as they want and basically carry the ball to the basket…with rarely a call. I don’t know precisely when the NBA started allowing that- maybe it was because of my favorite player, “Dr. J.”—but Orr is the guy who subtly changed that ‘no closing your hands on the puck’ rule in hockey, and I’ve never heard it discussed.